BBC Radio 4 recently broadcast a two-part series, The Waterside Ape, which asked some straightforward questions: How long have humans and our ancestors been habitual users of aquatic and marine resources? Also, have we adapted physiologically and cognitively to a littoral environment in which we depended on those aquatic and marine resources? And finally, what evidence from the last fifteen years of research has emerged to refute or to illuminate either of these questions? the waterside model “makes no falsifiable predictions, therefore it is pseudo-science” (courtesy of Henry Gee@Nature, retweeted by Roberts). Human diving physiology and performance compared with semi-aquatic mammals (Schagatay 2014; Schagatay, Fahlman, 2014 – in Human Evolution). Predation and preparation of very large catfish in Turkana basin at 2 million years ago (Braun and Archer, 2014 in Journal of Human Evolution) and very large carp at the Acheulian site of Gesher Benot Ya'aqov (Alperson-Afil et al., 2009, in Science). It would be of value to your readers if Roberts and Maslin could explain in what ways the above research fails to support a waterside model of human evolution? Also, in what sense any of the above authors are practitioners of ‘pseudo-science’? Is the message of Roberts and Maslin that the general public should be kept in ignorance of the peer-reviewed research from the last fifteen years that points to waterside habitation and adaptation at many points in human evolutionary history? We think the job of engaging the public in science is about encouraging debate and looking at the evidence, rather than attempting to dictate which discussions are scientifically acceptable. That is the job of the peer-reviewed journals. We would strongly encourage readers to take the out-of-date assertions of Roberts and Maslin with a good tablespoonful of salt, of the iodised variety, and to read the original work we refer to, then make their own judgements. 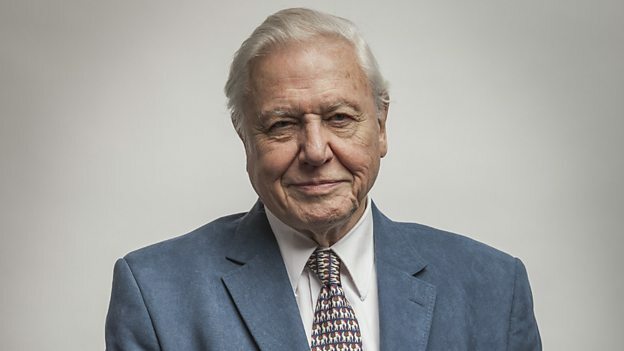 We applaud the BBC and Sir David Attenborough for keeping up with the most recent scientific literature and presenting it to the wider public, in contrast to the addressed professors. Stephen Munro PhD, Curator at the National Museum of Australia. Sir David Attenborough considers whether new evidence will help a once widely ridiculed theory of human origins move towards to mainstream acceptance.